A very warm welcome to author Debra Sennefelder! In a fun twist, her new Food Blogger Mysteries are about, well, food bloggers! I can just imagine the kinds of trouble a food blogger might get into! Not that I'm speaking from experience or anything. Don't miss Debra's giveaway at the end! 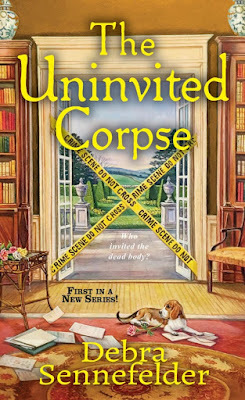 I’m very excited to be here today on Mystery Lover’s Kitchen to share one of my favorite recipes I’ve been baking for years and also to share with you a little about my upcoming release, which just happens to be my debut novel, The Uninvited Corpse, book one in the Food Blogger Mystery series. First, let me share my recipe. There are some things that when we either hear, see, feel or taste that take us right back to a moment in our lives. For me, corn muffins mean summer and since we had a significant warm up recently here in Connecticut, I was inspired to bake a batch of corn muffins. These tasty little muffins remind me of lazy summer days at my family’s beach house down on the Jersey shore. There were never enough bedrooms or bathrooms for all of us and the deck was where we ate our meals. To this day, when I pull out a pan of corn muffins from the oven and its aroma hits me I’m right back on the beach and I can hear the waves crashing. As I pile them high in a basket I swear I can hear the carefree chatter of kids and grown-ups chilling on the beach. Okay, were are my flip-flops? While I search for my flip-flops, here’s the recipe. In another bowl, combine eggs and milk, mix gently. Pour egg and milk mixture and melted butter into dry ingredients at the same time. Mix until just blended. Do not over mix. Spray 12-cup muffin pan with cooking spray and evenly divide batter among the cups. Bake until a toothpick inserted into muffin comes out clean, about 20-24 minutes. When I began my food blog years ago I wanted to share my most cherished recipes, ones that I’ve developed and have been making for years or recipes that have been passed down from my great-grandmother. Over time, I found that while I enjoyed food blogging, I did miss writing fiction so when I made the decision to go back to fiction I created a food blogger protagonist for my cozy mystery series. What’s The Uninvited Corpse about? Debra Sennefelder, author of the Food Blogger Mystery series and the Resale Boutique Mystery series, is an avid reader who reads across a range of genres, but mystery fiction is her obsession. Her interest in people and relationships is channeled into her novels against a backdrop of crime and mystery. When she’s not reading, she enjoys cooking and baking and as a former food blogger, she is constantly taking photographs of her food. Yeah, she’s that person. Visit Debra on her website and on Facebook. 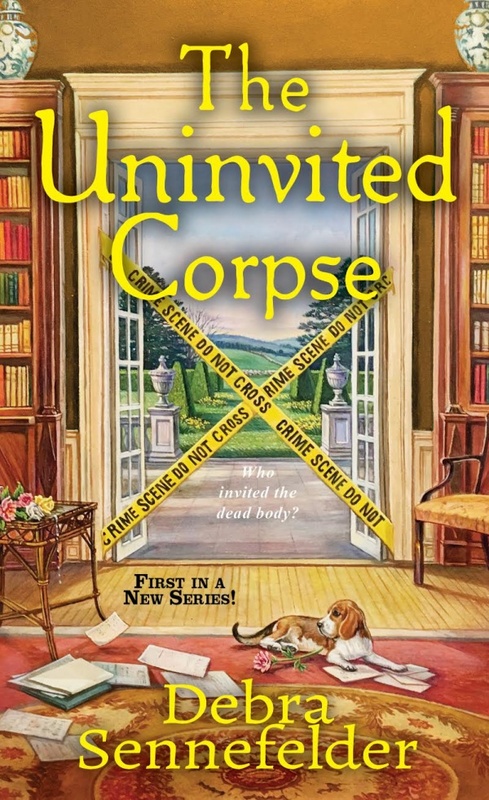 Leave a comment with your email address to enter to win a copy of THE UNINVITED CORPSE as soon as Debra has copies! Hi Liz, Thank you for visiting. I hope you have a great Sunday! Hi Marla, You're welcome. Have a great Sunday! Hi Dianne, I freeze muffins too. It's a great way to always have a snack on hand. :) I hope you enjoy the book. Hi Kay, I love the crunchy edges of corn bread too. :) I also have a 13 year old pup, Billy, and a 14 year old, Susie. Both are def spoiled. And rightfully so. I hope you enjoy the book. Have a great Sunday! Hi Riley, Thanks for visiting! I think you'll love Bigelow. He's all boy and a sweet dog. :) I hope you and your friend enjoy the book. Have a great Sunday! I love corn muffins, or corn bread or pretty much anything corn. I'm going to have to try your recipe. It does look yummy. Where did you get those neat muffin tins. Love the polka dots. Hi Lynne, Thanks for visiting today. I got the muffin pans from Pier 1 a couple of years ago. I love using them for muffin baking. Have a great Sunday! The texture of the muffin looks great in the picture. I’m making corn soup today so I’ll try these. suefoster109 at gmail dot com. Hi Sue, Today is a perfect day for soup here in CT. Rainy, gray, damp. I do love corn soup. Hmm...now I'm rethinking dinner. hahaha. I hope you enjoy the muffins. Have a great Sunday! I've been a blogger (alas my mind no longer lets me do that anymore) I'm a foodie who cooks and loves trying out new restaurants with my best friend (an award winning blogger). So I'd love to be one of your lucky winners when this lovely new book comes to your door. Hi Nora, Thank you for visiting. Trying out new places to eat is fun, especially with a friend. Have a great Sunday! Hi Donna, Thanks for stopping by today. Have a great Sunday! Your recipe looks yummy. I'd love to read your book. Congratulations on your debut. 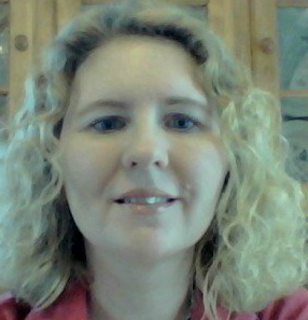 Hi Linda, When I decided to pursue publication I made the decision to close down my food blog. Working f/t, blogging, life and writing a novel was a lot to juggle. Something had to give. The blog was The Cookbook Diva. Now when I have time between books I share recipes on my website, www.DebraSennefelder.com on my blog page. Have a great Sunday! Thanks for stopping by and telling me a little bit about Bogie. I hope you and Bogie are having a great Sunday! Hi, thanks for visiting. Have a great Sunday! Hi Kristin, Thank you so much for adding me to your TBR pile. It means the world to me. Have a great Sunday! I am excited to read your debut book! Thanks for the muffin recipe!